Every year Alliance Wake takes a few days to reflect on the year of wake and creates annual superlatives for the athletes that stood out above the rest. Well it was no surprise to the crew at AWS that Luca Kidd would take home the honor of Rookie of the Year! Luca seemed to come into the scene very HOT! He graced the June’s Cover of Alliance Wake Mag and won best fashion air at the annual Old School Contest in September. One of Luca’s greatest claims to fame was his Junior Men’s sweep of the Malibu Riders Experience winning all four stops and taking the overall title. Kidd is no doubt going to be a force to be reckoned with as he rockets his career towards Pro Mens. 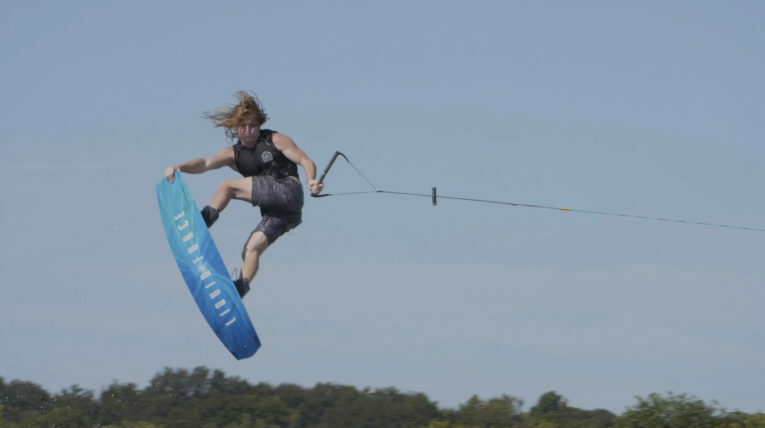 Wakeboarding is lucky to have an up and comer like Luca Kidd. In 2018 his board of choice was the Liquid Force Trip. This classic continuous rocker shape allows for a smooth edge and predictable pop. An obvious testament to how Luca is able to poke out his method grabs with ease!